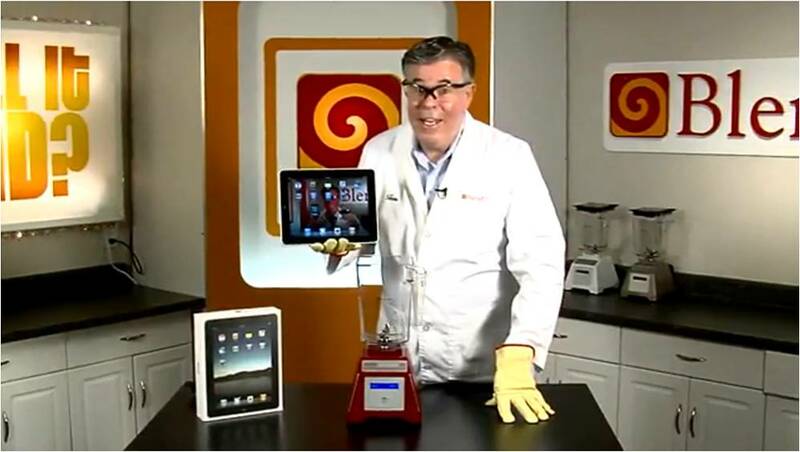 Tom Dickson, founder of BlendTec, came to (YouTube) fame when using his company's BlendTec blenders to blend household items. Thank you. I'm so sick of all the hype surrounding the iPad, I was delighted to see this video. I'm waiting for the blendtec not to work on something. How about a car tire? I'm so sick of people bitching about apple products. If you hate it so much, go get a kindle. Now there's a useful device? When will we get an ipad taste test going once they have been blended? Surely they taste different in the vitamix than they do in the blendtec?